ACI Works is a service to help forge new relationships and develop business for appraisers. National appraisal companies and Lenders know that ACI appraisers are among the most qualified and experienced in the nation. ACI software assists appraisers with compliance using the most accurate review rules and technology available. This means less errors, less revisions, faster appraisals, and more satisfied clients. ACI Works for you! Stewart Valuation Services, LLC is looking for appraisers and real estate professionals to join their panel! As a member of Stewart’s panel, you’ll be part of a team known for transparency and accountability. It’s what has led top-rated news publications to recognize Stewart as not only one of America’s most trustworthy companies, but also one of America’s top-performing corporations. Stewart also continues to rank as one of the nation’s most innovative users of business technology. A knowledgeable support staff to help you throughout the lifecycle of the appraisal. Access to our staff of in-house appraisers, who can assist with unique or complex assignments. Bi-weekly payment and repeat business from a well-established and diverse client base. Ready to start your rewarding career with an award-winning team? Just click here to complete your application. ACI Appraisers are in demand more than ever. The industry knows that working with appraisers that are equipped with advanced review tools coupled with Data and Analytics, gives them an edge in the marketplace. By using ACI, the delivery and review process is streamlined with quicker and more reliable results. Here are a few companies actively seeking ACI Appraisers. Hello appraisal partners! My name is John (J.R.) Raftery and I am the Chief Appraiser for DVS-AMC, Inc. We are an emerging valuation provider focused on providing top level customer service and the highest quality appraisal products. I am excited to announce that we are rapidly expanding our coverage footprint as we continue to showcase the strength of our appraisal panel through delivery of on time / high quality valuation products. 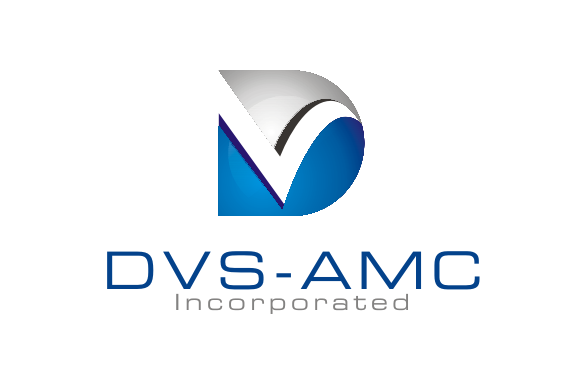 If you are looking for an AMC that is highly focused on creating a sustainable and mutually beneficial partnership with appraisers, then DVS-AMC is the partner for you! For further information on DVS-AMC, Inc. or to become an approved appraiser; please follow this link. Thank You! Pro Teck knows that a valuation company is only as good as the people doing its field work, that’s why we’re proud to partner with the best appraisers in the country. We are searching for experienced ACI appraisers who share our passion for accuracy and customer service. Our streamlined Intelligent Quality Control process is why over 150 financial institutions send their appraisal work through Pro Teck, and why appraisers find us to be an efficient AMC to work with. Come grow with us – click here to learn more and join our National Appraiser Network! 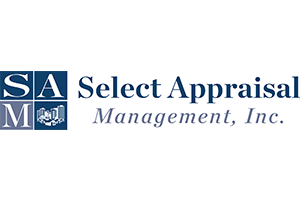 Select Appraisal Management, Inc. (SAM) has an immediate opportunity for a certified residential or general appraiser in the following Colorado counties: Eagle, Summit, Pitkin, Montezuma, La Plata, and Gunnison. This is an opportunity to earn significant fee income by completing desktop appraisals at $50-100 per hour ($100,000-$200,000/year equivalent). This is approximately $10,000 additional annual income from the desktop only. If you are interested in completing innovative and compliant evaluations, please contact Elizabeth Stowe at Elizabeth.Stowe@securitynational.com. ACI Works™ is a service to help forge new relationships and develop business for appraisers. National appraisal companies and Lenders know that ACI appraisers are among the most qualified and experienced in the nation. ACI software assists appraisers with compliance using the most accurate review rules and technology available. This means less errors, less revisions, faster appraisals, and more satisfied clients. ACI Works for you! A strong spring buying season and an elevated volume in first-time homebuyers have driven sales to their highest pace in 6 years. In order to keep up with demand, AMCs are seeking high quality ACI appraisers. Here are a few business opportunities we hand-picked for you. If you’re an appraiser in Texas and looking to join a fee panel for extra income, then be sure to apply to PCV Murcor Real Estate Services. Don’t delay, apply today. Stewart Lender Services is seeking ACI appraisers to add to their growing fee panel. To join Stewart’s appraiser panel click here. Great ACI appraisers are needed at Select Appraisal Management. This exclusive opportunity is only available to ACI clients. Strong fee/fast paying traditional and evaluation appraisal assignments are available. Apply Today.